We scored a century in our blog postings with all your great support. We celebrate this success with Kalkandu vadai. Recipe origin Chettinad this sweet appetizer is a very very delicious and yummy. Which can be served as an appetizer or as a sweet. 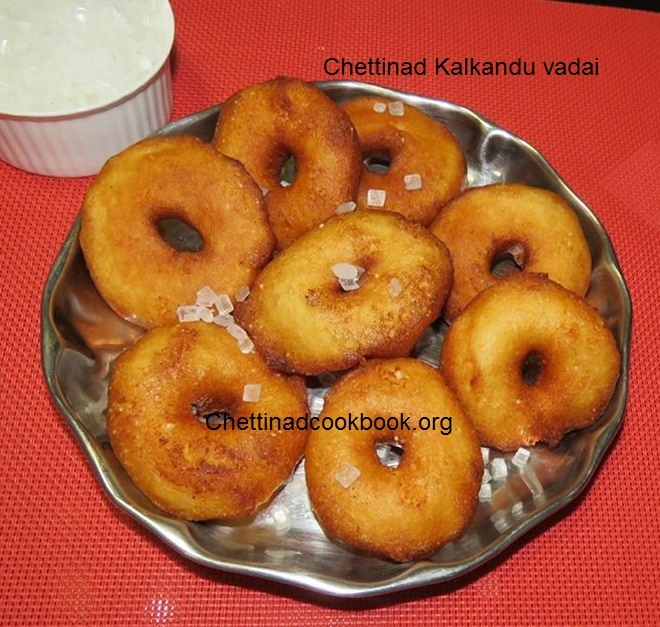 This sweet vada is a very famous chettinad special dish which is prepared for auspicious occasion and festivals. Tastes different from normal medhu vada. This is a sweet vada instead of the normal Methu vada.This is prepared with kalkandu (Sugar Candy in English & Misri in Hindi) and hence the name Kalkandu Vadai. Nowadays it is replaced with normal sugar. Take a small lemon sized ball of the batter in your hand. 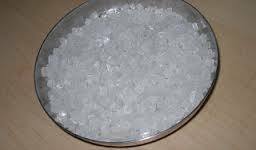 Place it on a clean wet plastic sheet. 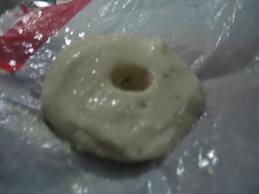 Slightly press the flour and make a hole in the center with your finger. Make small vadas & deep fry initially on medium & then low fire. The vadais puff up very well, so do not fry more than 3-4 at a time. The oil should not be smoking hot. The vada tends to be little browner than the usual medhu vada because it is caramelized so don’t worry.